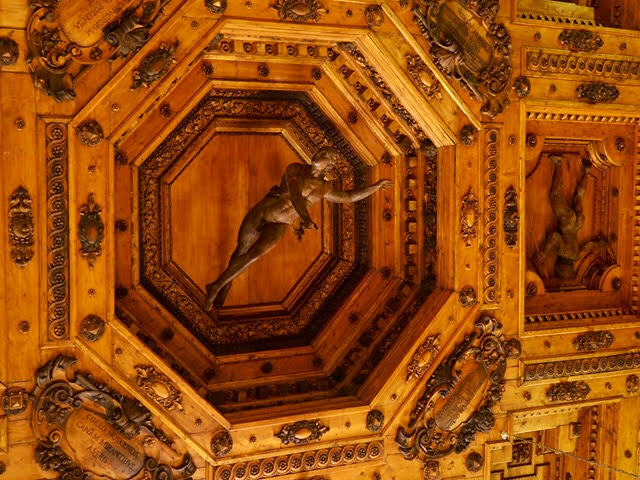 used to be located in the Palace of the Archiginnasio, the first unified seat of the University of Bologna. 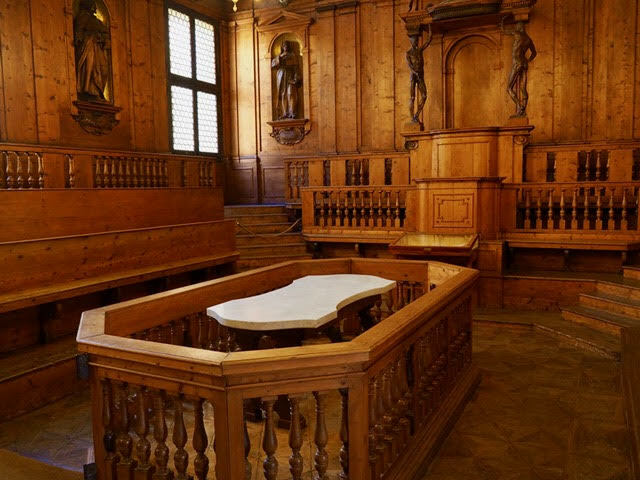 A first anatomical theatre was constructed in 1595, in a different location, but it was replaced by a bigger one built between 1636 and 1638 in the current location, following the design of the architect Antonio Levanti. 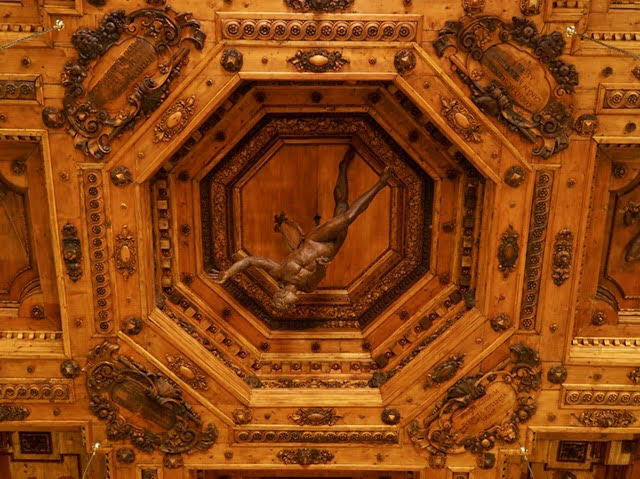 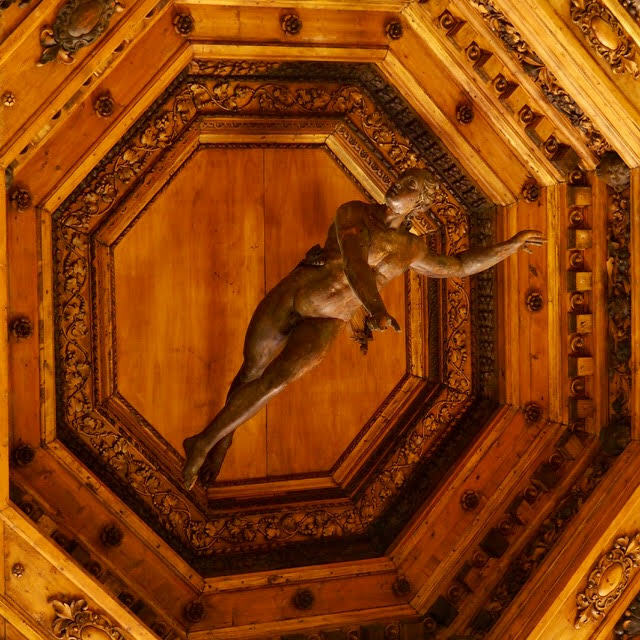 The ceiling and the wall decoration were completed from 1647 to 1649 but only the lacunar ceiling dates from this period, with the figure of Apollo, the god of Medicine, in the middle, surrounded by symbolic images of constellations carved in wood.